P6 & 5P6R SERIES – High efficiency, low maintenance and maximum performance—all the features demanded by today’s poolprofessionals. The Max-E-Pro pump has our new Quick-Lock™ Trap Cover Ring and the 2 in. ports incorporate internal and external threads. Available in single- and two-speed models, with ratings from 1/2 to 3 HP. Built with quality construction using a durable one-piece pump housing constructed of Dura-Glas™—Sta-Rite’s industry leading glass-reinforced composite resin. Fast cleaning with a new Quick-Lock trap cover ring permits fast access to strainer basket. Large see-through lid makes it simple to check for debris. 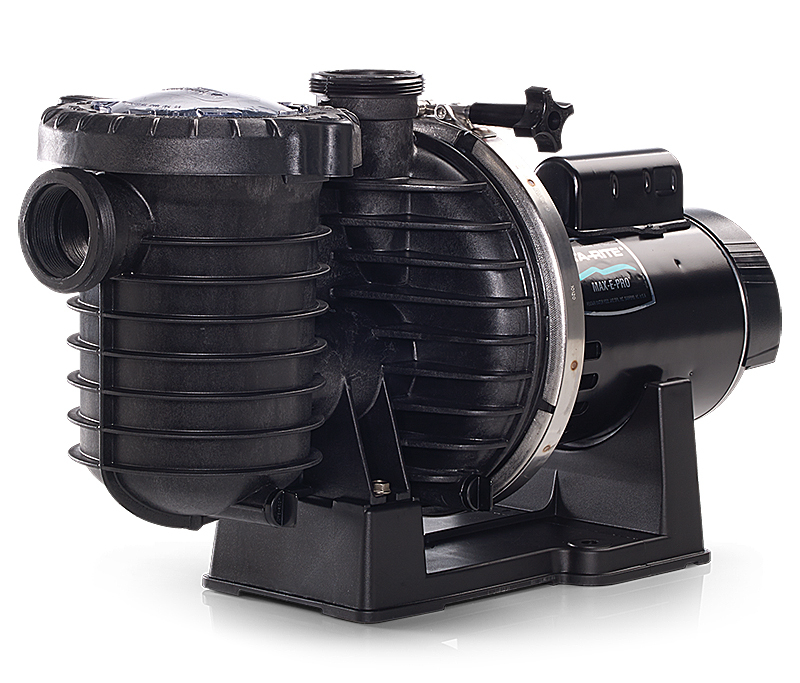 A strong, sturdy, specially-designed base dampens sound and vibration, making the Max-E-Pro pump one of the quietest pumps in its class.